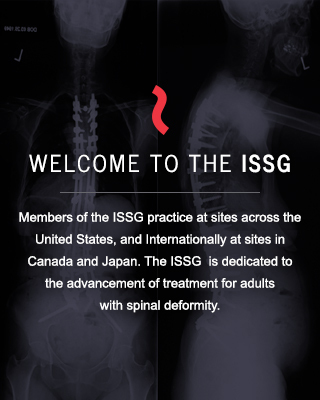 The ISSG is a group of surgeons dedicated to the advancement of treatment for adults with spinal deformity. Comprehensive multicenter prospective research studies are used to answer questions regarding treatment approach and techniques to achieve best possible outcomes. The ISSG is committed to being internationally recognized for the highest quality published research on new spinal deformity surgery techniques.